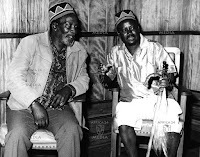 Tuesday, September 4, 2018 - This interesting audio was recorded on October 25th 1969 when President Uhuru Kenyatta engaged in an exchange of words with Raila’s father, Jaramogi Oginga Odinga, during a function at New Nyanza General Hospital. Jomo Kenyatta lectured Jaramogi telling him to teach Luos how to work instead of being cry babies. He accused Mzee Odinga of being a selfish leader who was misusing Luos and only interested in his stomach. Jaramogi, who was the opposition leader back then, lost his cool and confronted Mzee Kenyatta and they started a verbal exchange in front of the crowd. Listen to this interesting audio from the archives.